Saving the environment doesn't require spending lots of money. It's more about making small changes to how we live our lives on a day to day basis. It means learning how our actions affect the rest of the world. By understanding how things impact the environment, we hope you'll want to make some of the changes shared here. By taking action on any of these 100 ways to save the environment, you'll also enhance your home and protect your family. PS My bias in writing this article is to make you smart, savvy homeowners. Most of my tips are related to your home because I want you to remember you're the chief home officer, with the most influence over what happens in your house! Inventory your house and replace any remaining incandescent light bulbs with LED bulbs. Try not to use CLFs as they contain mercury which makes disposal difficult. Turn the lights off when you leave a room (or install motion sensor switches to do this when you forget). For outdoor lights, use either a timer or motion sensor switch to minimize how long they're on. When buying a house, consider how many places you can reach by foot or bike. In San Jose, we loved the 4 mile bike trail that gave our boys access to so many local activities, without having to cross major streets. Eat locally grown food that doesn't require long-distance transporting that wastes fuel. Clean or replace the air filters in your HVAC system frequently, to make sure they're operating efficiently. Adjust your thermostat when away, lower in the winter (we use 55º) and higher in the summer (we use 85º). Lower your hot water heater's thermostat to no higher than 120º Fahrenheit (also prevents scalding). Wrap your hot water heater with an insulated blanket. There's also insulation to wrap accessible hot water pipes. Shut off your hot water heater when leaving your house for an extended period. Set your refrigerator to more energy efficient temperatures (36 to 38 degrees; freezer 0 to 5 degrees) that will still keep your food fresh. Avoid opening the oven door while cooking, as it reduces the temperature by 25 to 30 degrees each time. Clean the lint filter every time you use your dryer, and the dryer vent once a year (read: How to Clean a Dryer Vent). Wash your clothes using warm or cold water instead of hot water. Don't use hot water when cold water will get the job done. For example, you can fill your coffee maker with cold water and rinse dishes with cold water if they're going in the dishwasher. Buy green electricity generated from clean, renewable energy sources (learn more at Energy.gov, Buying Clean Electricity). Buy appliances that have the Energy Star Label. And please don't put your old refrigerator in the garage for extra storage as it can use up to 50% more electricity. Replace old and inefficient heating and cooling equipment with new, energy efficient ones. Use (don't install and ignore) programmable thermostats to lower and raise temperatures automatically. Install ceiling fans to reduce air conditioning costs (read Ceiling Fans: Summer and Winter). Turn off electronic devices when you're not using them. Power strips can make this easier but understand they may also need to be turned off during extended absences (learn about Energy Vampires: How to Find & Tame Them). Use your microwave oven instead of a conventional oven or stove top. Bring your home's insulation up to “optimal” building standards where cost-effective (find recommended insulation levels, Insulation 101 for Smart Homeowners). Lock windows to create a better seal. Add weather stripping around doors and windows to reduce the loss of warmed/cooled air. Replace single-pane windows with dual-pane windows that are more energy efficient. Reflective film on windows can also reduce air conditioning bills. Install shades, drapes or awnings to block sunlight on hot, sunny days. Use landscaping to shade your home from direct sunlight entering the home. Plantings around your house can also reduce wind infiltration during high winds. Install foam gaskets behind light switches and outlets on exterior walls. Replace outdoor lights with solar lighting. Reduce air leakage by sealing gaps between your home's indoor air and the outside. Do the same for ductwork in unconditioned spaces like your attic. Hire an energy auditor to help you prioritize ways to save on your utility bills (electricity, gas or oil, depending on how you heat your house). Perform proactive maintenance on your HVAC system, hot water heater and other appliances to make sure they're running as efficiently as possible. Keep your freezer full, adding bags of ice to fill in unused space. Keep fireplace dampers closed when your fireplace isn't being used. Load washing machines and dryers to capacity but don't overload, as that can cut down on their efficiency. Use solar power for home heating, cooling and heating hot water (read: Solar Energy Facts We All Need to Understand). Replace recessed light fixtures with airtight ones that let warm air escape into the attic. Place a reflective board behind radiators to send heat back into the room. One of my New Hampshire handyman customers couldn't stop talking about this. Install a storm door on exterior doors to add a layer of protection from the cold. This is one of my favorite home improvements because it lets more sunlight into the house. Fixing a leaky faucet can 200+ gallons/mo. Watch your water bill to spot a sudden spike that tells you about a leak. Make water conservation part of your landscaping plan. Fix water leaks right away as one dripping faucet wastes 212 gallons a month. Replace shower heads with low-flow shower heads to reduce water heating costs. Install low-flow toilets to save 3.5 gallons per flush. If you're not ready to replace your toilet, put a half gallon jug of water in the tank (but never use bricks). Turn off your washing machine's water supply when not in use, to avoid leaks. This is especially important when leaving for extended periods like vacation. When washing dishes, don't run the water continuously. Wait to run the washing machine and dishwasher, when you're able to run full loads. Follow community guidelines for water use. During droughts it's common to have restrictions about watering your lawn and washing your cars. Take your car to a car wash that recycles water, instead of washing it in the driveway. Mulch your gardens to reduce the amount of water they require. Drip irrigation is a great way to save water. Turn the faucet off while brushing your teeth or washing your hands. Reuse your pasta water to water your plants, after you've let it cool down to room temperature. Buy toilets, shower heads and other water fixtures that have a WaterSense label (learn why Saving Water Makes WaterSense). Take shorter showers. A 10 minute shower will use about 20 gallons versus 36 gallons to fill a bathtub. Reduce the amount of lawn you have. Astroturf offers an alternative that looks like a lawn but doesn't need to be watered, weeded or mowed. Use a rain barrel to collect water for the garden. Water your lawn and outdoor plants in the early morning when cooler temperatures mean you'll lose less water to evaporation. Wash your dog outside, so that you're watering the yard at the same time. Just be sure to use a soap that won't harm your plants. The hardest part of changing air filters, is to remember to do it! Use plants to absorb excess CO2 (releasing oxygen back into the air), odors and polluting gases. Find household cleaning products that don't use hazardous chemicals. Consider using alternatives like baking soda, scouring pads and a little more elbow grease. If your home was built before 1978, there may be lead paint that can cause health issues which are especially harmful to children (read: Lead Poisoning & Lead-Safe Rules from the EPA). Have your home tested for radon (more than 4 picocuries per liter of air will require radon mitigation). You can check this map to see what the average radon levels are where you live. Use cedar chips or aromatic herbs instead of mothballs which cause health effects if the exposure is high enough. Avoid using paint with VOCs, and avoid buying more than you need as it will only last a few years. For hobbies that create lots of dust or other air-borne particles, practice them outside. If you must work indoors, do so in space with an air tight barrier between your work space and indoor living space. Clean or replace the air filters in your HVAC system frequently. Control moisture with a dehumidifier to keep your home dry. This is especially important in basements and other damp spaces where mold tends to thrive. Vacuum regularly to control airborne particles. Make your bedroom as allergen proof as possible. That means covering box springs, mattresses and pillows with woven microfiber fabrics (pore size no greater than 6 micrometers) to keep them free of dust mites and animal dander. Fix wood rot problems quickly to avoid mold growth. Use exhaust fans to reduce moisture in the kitchen, bathrooms and laundry areas. Try not to buy chemicals, solvents, glues or pesticides. If you must buy them, store them away from living areas. Minimize the use of candles and wood fires. Ban smoking indoors and encourage family members to stop smoking. Don't buy air purifiers that emit more than 50 parts per billion of ozone (limit imposed by the State of California per Consumer Reports). Consider replacing your wood burning fireplace with one that is more environmentally friendly. When burning wood, use seasoned firewood which burns cleaner than green wood. Clean humidifiers and dehumidifiers to have them operate efficiently. Packaging is 33% of our trash, so stop paying for it! Before you buy things, consider alternatives that will impact the environment less. For example, eCloth can reduce your dependence on paper towels. 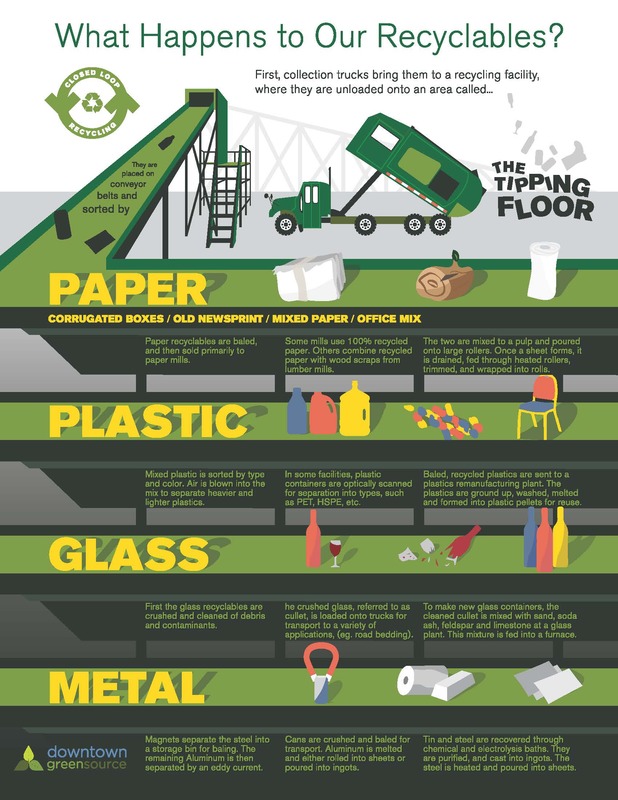 Learn what it takes to recycle your trash with this infographic, What Happens to Our Recyclables? Use recycled paper and recycle items like envelopers, folders and paper clips. Leave grass clippings on the lawn to decompose and return nutrients to the soil. Use a compost bin or tumbler for unused food and garden clippings. Stop tossing out food with great tips on How to Reduce Your Foodprint. 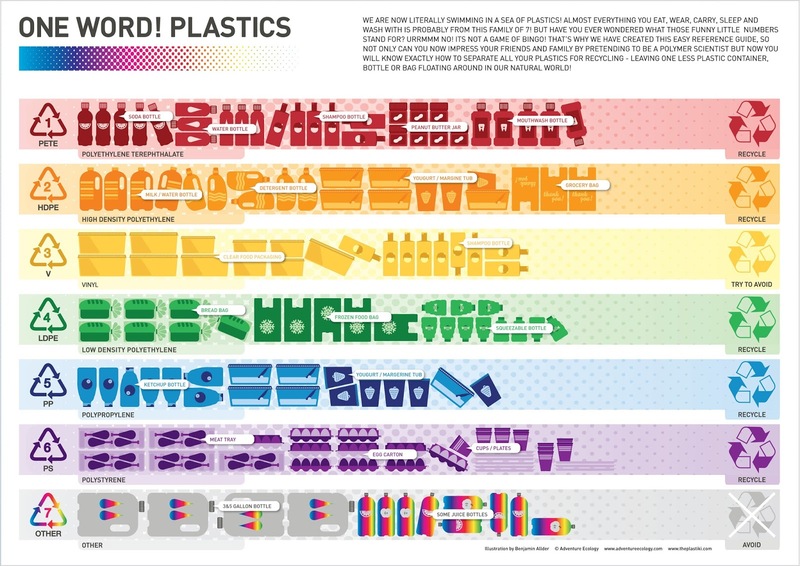 Avoid using plastic, and when you do … only those which can be recycled, One Word! Plastics. Buy products that can be reused versus disposable paper towels, plates, cups, etc. You might find you enjoy cloth napkins even if you do have to wash and fold them. Use canvas grocery bags instead of paper/plastic bags. In fact some states like Maine, are encouraging this by charging $0.05 for each bag they provide. Buy items in bulk to reduce the amount of packaging wasted. Avoid products with several layers of packaging when only one is needed. About 33% of what we through away is packaging. This is a huge problem in the US where I recall staying with friends in Norway, and a one quart container held all their trash for several days. Maintain and repair durable, quality products versus buying new ones. That means you'll want to research repair data when considering purchases. Reuse bags, boxes and other containers whenever possible. We keep shipping boxes, bubble wrap and related packing materials on one shelf in the garage. Buy rechargeable batteries for devices that you use heavily. Use reusable containers to store food instead of aluminum foil or plastic wrap. Use reusable diapers (BumGenius) instead of disposable ones. My son did this and I was surprised how easy it was once they got their routine down. Buy used furniture as there's plenty to pick from, and it's a lot cheaper than new furniture. Repurpose furniture you already own. My home office now has a living room chair, a bench from the kids playroom and bookcases that have been in almost every room of the house. Purchase items like dish soap and laundry detergents in concentrate forms. Reduce the amount of unwanted mail you receive. Yes, the average “resident” in the US gets more than 30 pounds of junk mail per year. Eco Home In Your Future? If each one of us followed the simple steps in this article, trust me friend, we can save mother earth! Yes, saving the earth starts with changing our focus to do just that … act smart & caring for others now & forever. What a great all comprehensive list! Many things we do but quite a few were new as well like wrapping the hot water heater! We love to do our part, so will definitely incorporate these ideas! What an incredible list – quite concise and also very comprehensive. I am saving this for the weekend to look over to see what we can do to improve and become more green in our family! You’ve come up a very practical post. So thank you the helpful tips. Now I will start conserving energy. 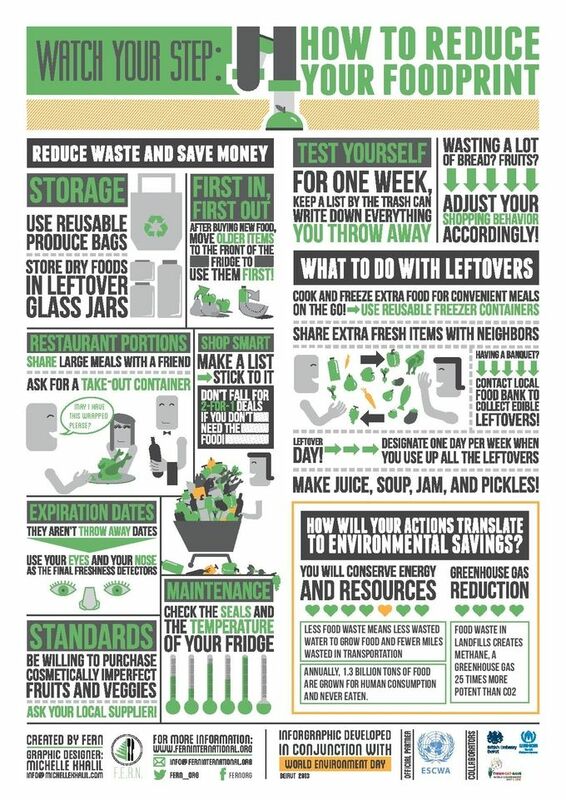 What a great comprehensive list of ways to save at home not just money but the environment. Love it-thank you! This is a great list. I’ve never thought of turning off the heater when I leave for extended amounts of time. I will remember next time. In our household, we try to do as much as we can to help the environment and our wallets. Some of these tips I didn’t even think about. I will be looking at this list again! It’s nice that people are getting more involved in saving the environment. These are all very good tips to do just that. If you don’t know where to start, this is a good guide! Our way of living can really help with saving the environment especially when it comes to energy consumption and the use of resources. These are all very awesome tips! Trisha, Start with the simple, inexpensive things. Then watch for the larger items to become more affordable. For example, in many states today, you can sign a 20 year lease for solar panels in order to pay nothing up front. I didn’t realize that! Thanks! This is very helpful! I will save this. Thanks! These are great tips! Thank you so much, very helpful!